How to keep cool on these warm summer days? Try our Watermelon coolers. All kinds of melons are in season and it is an important factor for this drink because ripe watermelon or other melons offer the sweetest flavor. You can add more ginger ale (or sprite) and blend it just a bit more to make it supremely slushy. 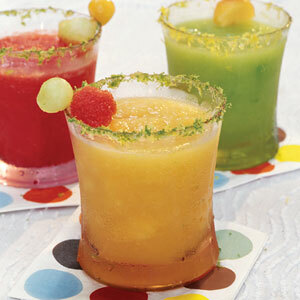 Substitute cantaloupe or honey dew for a fun flavor twist and more color!